Follow this course and make a turning point in your arm training for big arms. 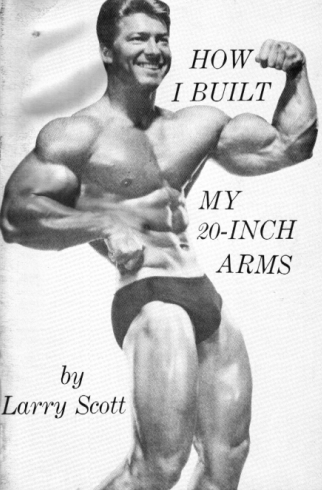 This book is to spare you all the false turns and blind alleys on the road to magnificent arms. With my own errors in mind, this book is written for you, so you can avoid them. Follow this course as laid out – the prescribed exercises, sets, repetitions, exercise style. Put real determination into your workouts, make this a turning point in your big arms training – you won’t regret it! The leg WO on this one is pretty cruel….